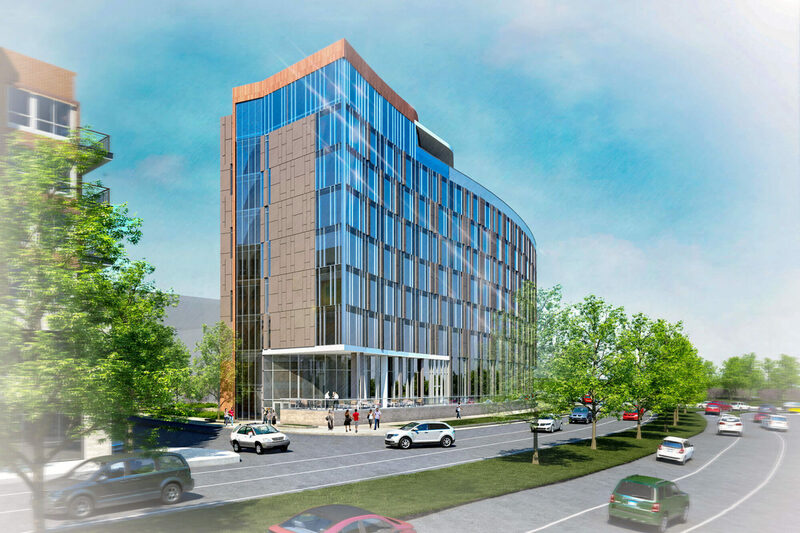 The AC Hotel by Marriott is a premier hotel located in the heart of Dublin, Ohio. 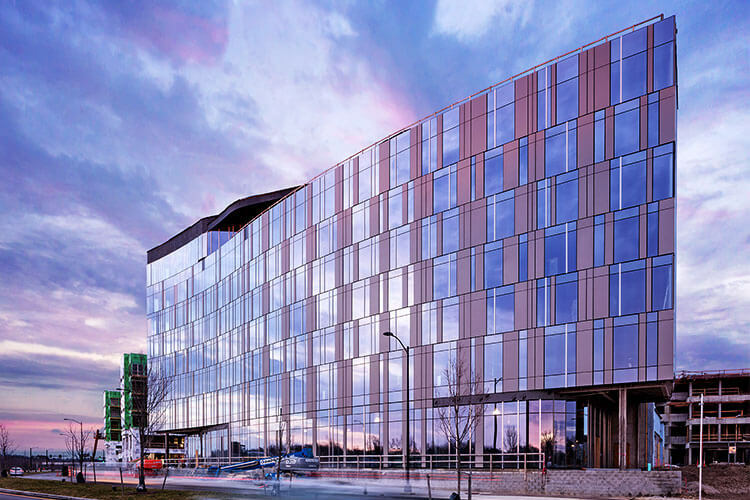 The AC Hotel is the featured cornerstone of the Bridge Park Development and will be a hub for entertainment. 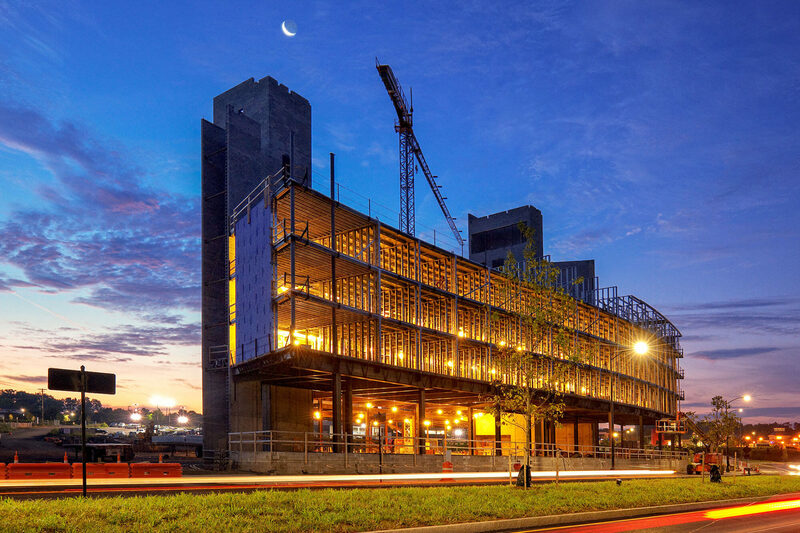 The hotel features floor to ceiling windows and a rooftop bar. 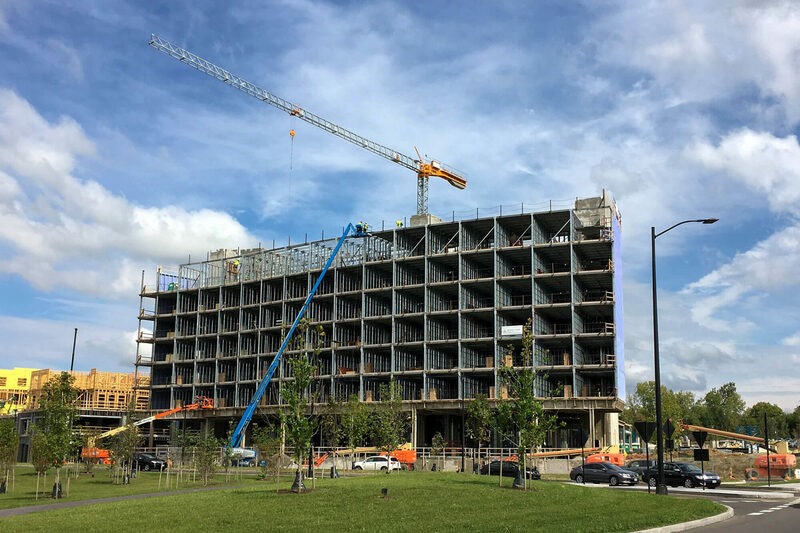 This 8-story magnificent structure provides a spectacular view of the Scioto River and surrounding area. 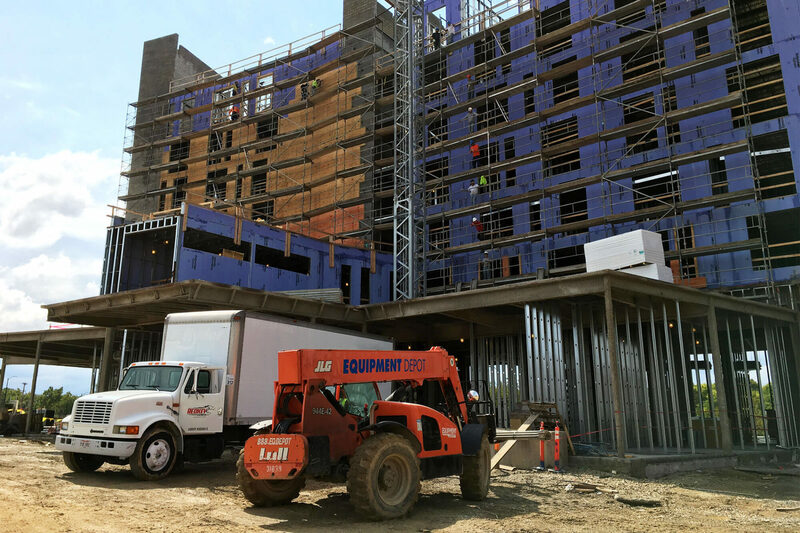 Our Value-Add Reseller, All Steel Mid-Rise’s scope of work consisted of using light gauge steel bearing panels, and incorporated Composite TotalJoist. Overall, the success of this project can be measured both by the customer’s satisfaction and by completing a seemingly impossible schedule, 4 weeks ahead of time. The building was ready for guest check-ins in September 2017. 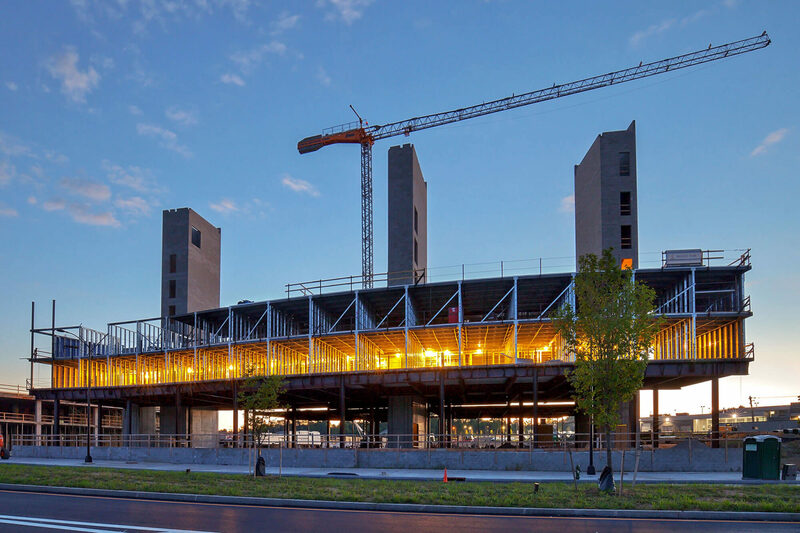 Panels were manufactured off-site and stacked on trailers in order of installation sequence, floor joists were bundled per unit, allowing the crane to pick the corresponding bundles and place the joists directly on the walls, minimizing material handling. The unique “S” shaped design and complexity of the building design posed numerous challenges. 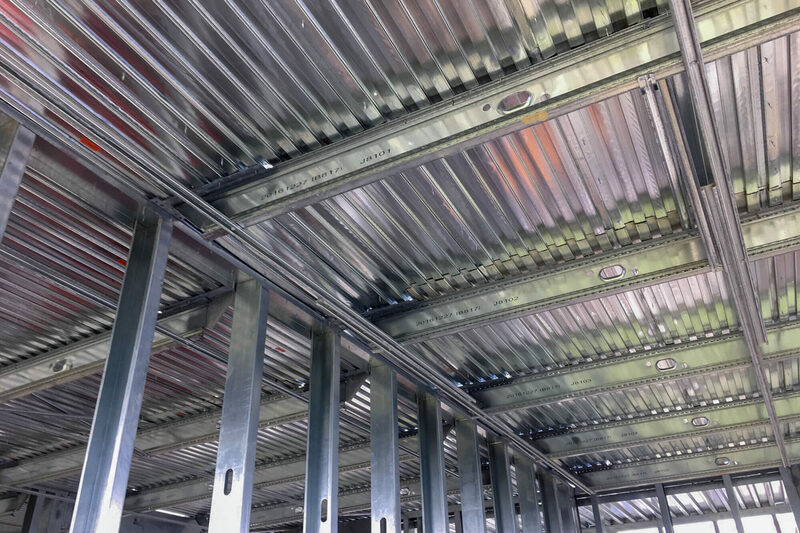 All Steel integrated structural steel into the panels to accommodate the difficult design. 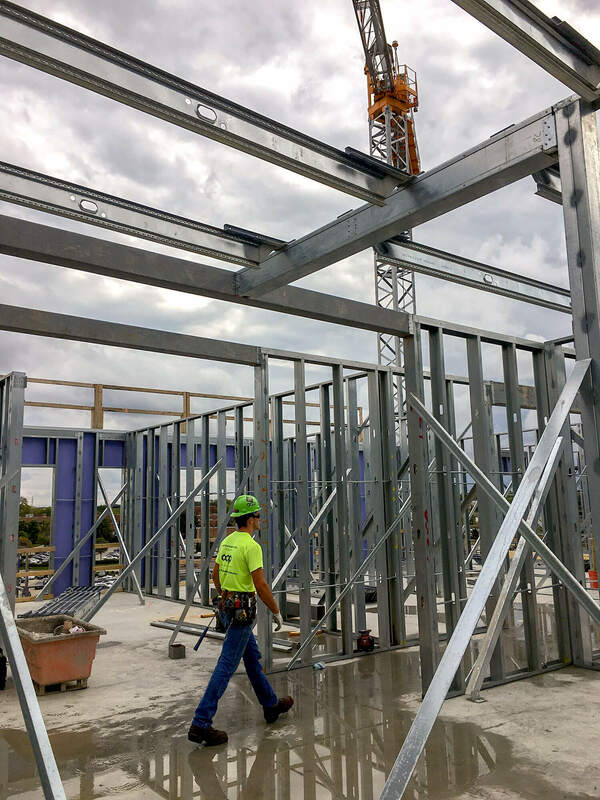 They used cambered joists, which allowed the building to be built without the use of shoring and speeds the construction process considerably. 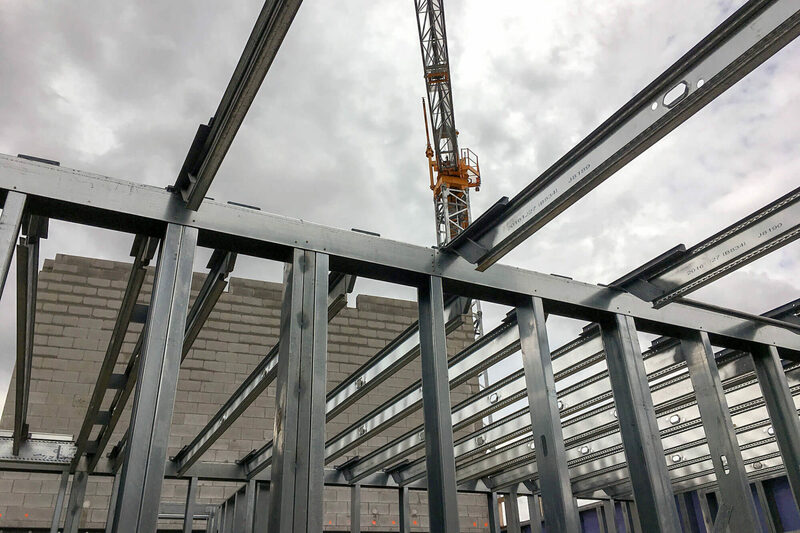 By being a part of the design team and coordinating our in-house BIM with MEP trades for advanced panel manufacturing, we were completely ready before getting on site. 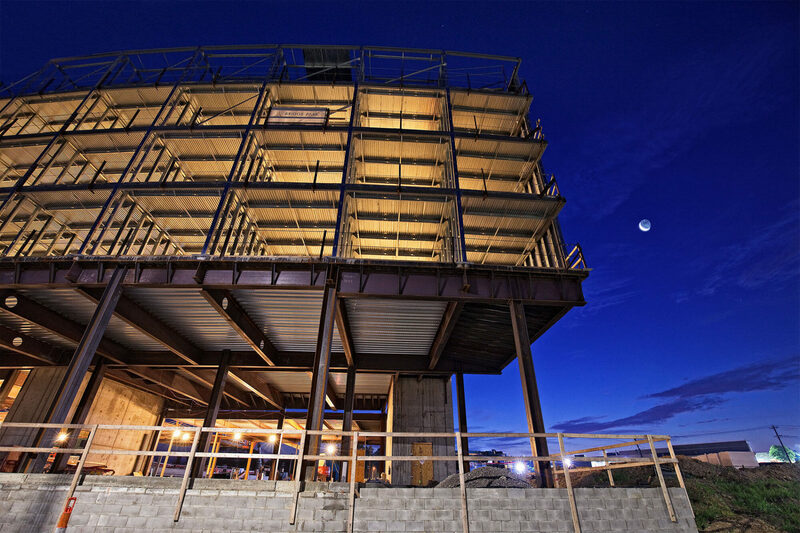 By pre-planning, the crew averaged 1,051sf of completed structure per day, and ultimately finished ahead of schedule.